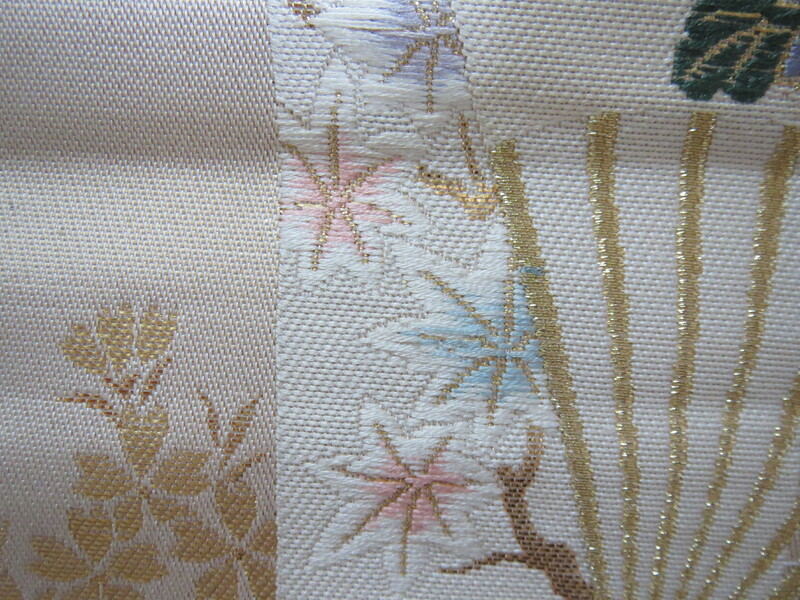 Momiji (紅葉) and Kaede (楓) Japanese Maple | Ready, Set, Kimono! A Note on Names and Seasonality: The difference between momiji and kaede is not clear. 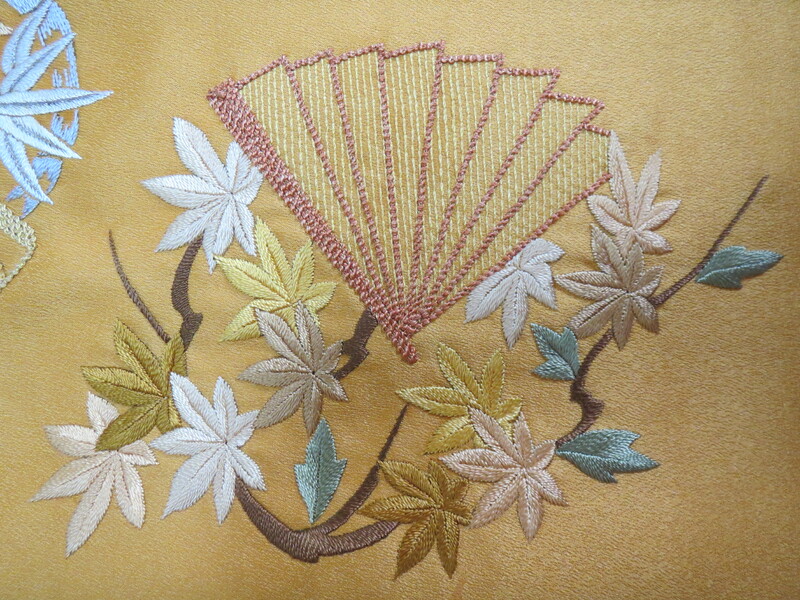 A popular myth that perpetuates on English language websites is that kaede are green and are appropriate for spring, and that momiji are other colors and are appropriate for autumn. I admit, I believed it too for a while. However, many Japanese people who grew up speaking the language and immersed in the culture have told me that both kaede and momiji are autumn motifs regardless of color. Both words evoke the feeling of autumn to a Japanese speaker, the same way that a crocus or daffodil would evoke the feeling of spring to somebody raised in Western culture. I have asked multiple people in Japan including my kitsuke teachers, wasai teacher, sado teachers, and regular people who have not learned any of the traditional arts. All of them agree that both kaede and momiji are appropriate motifs for autumn, and the difference between them is negligible. Kaede was the original name for the Japanese maple tree. 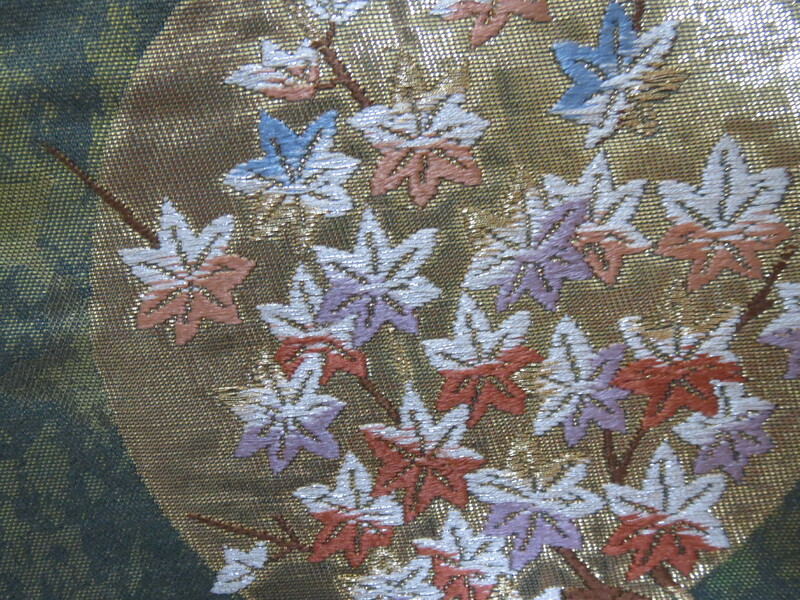 Momiji was traditionally used to refer to all autumn foliage, not just maple leaves. Eventually, due to the popularity of the maple leaf as the iconic autumn leaf, momiji came to refer to only maple trees while koyo (こうよう- same kanji as momiji but a different reading) nowadays refers to all autumn foliage. 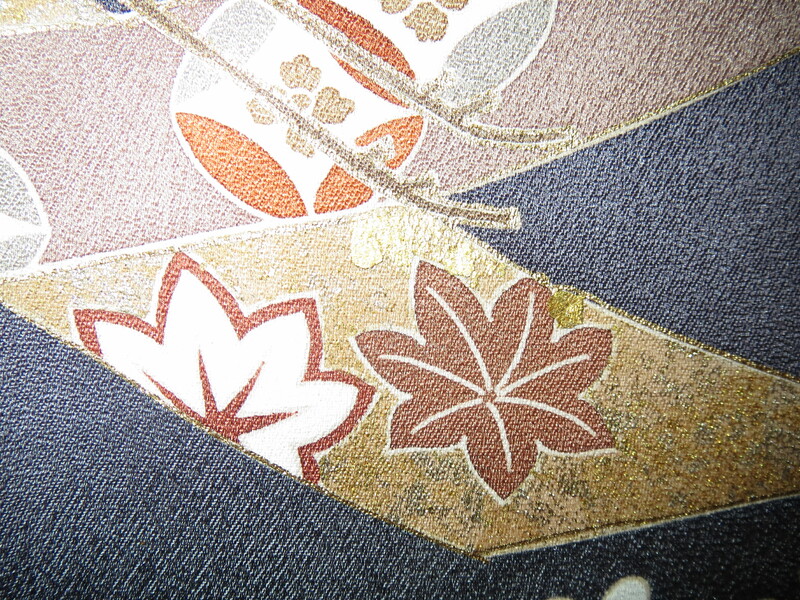 Momiji-gari (autumn leaf viewing) is a popular activity for many people and is a popular motif for kimono. 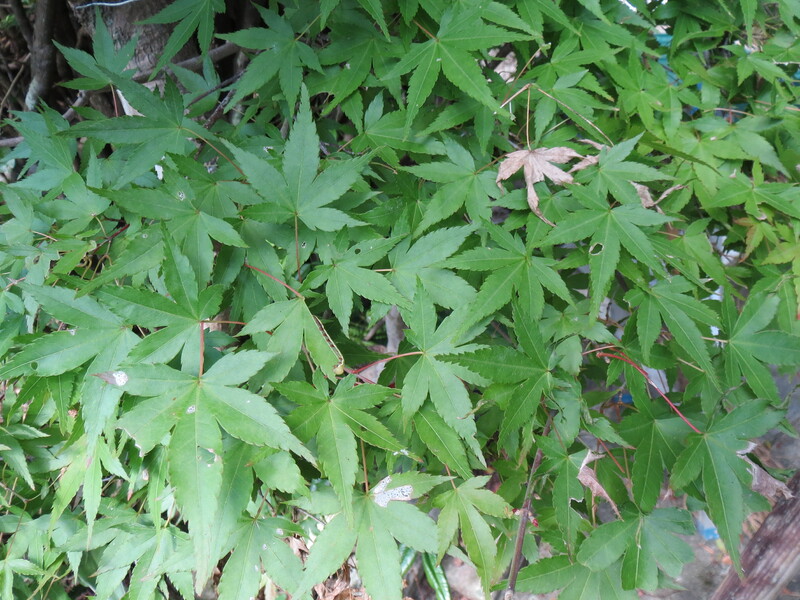 Kaede and momiji can be identified by their distinctive maple shape. The leaf has seven sharply pointed lobes with clear veins running along each lobe. The length of the lobes are not uniform, with four or five lobes being longer than the others. They can be shown as individual leaves or attached to branches. 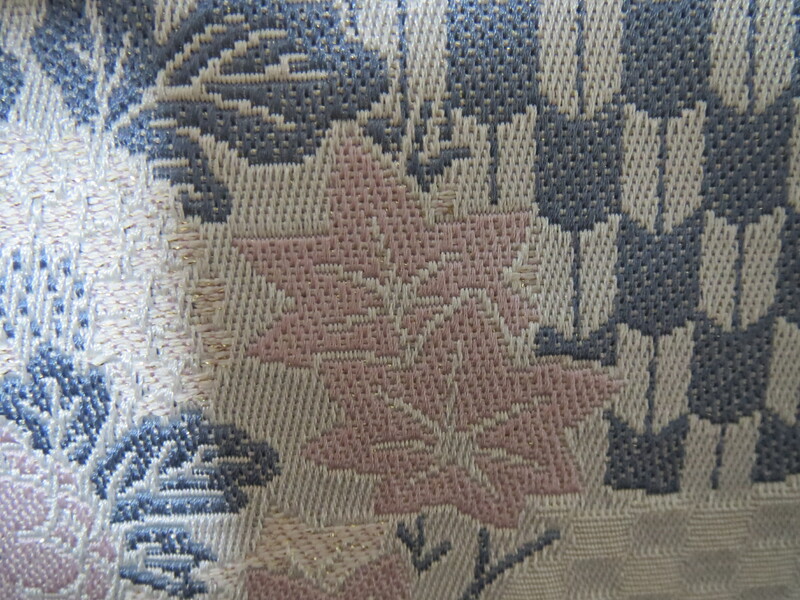 classic examples of kaede/momiji in a variety of colours.